CellarMasters, we are packing our bags (and wine) and coming to a city near you. This year, we are delighted to announce that our team will be bringing a little of the Montelena experience to the backyards of our dearest club members. This is the ideal chance for our CellarMasters to take advantage of their club benefits without having to travel to the Napa Valley. Led by Brian Baker, Vice President of Sales and Marketing, our club team will be bringing you the wines and the stories we all love, while introducing us to the stomping grounds of our favorite group of wine lovers. These breathtaking wine evenings will begin with a welcome reception, featuring beautiful selections of our Riesling and Chardonnay. We will then lead you into a seated tasting and presentation, discussing the wines that have brought us together over the years. We will be showcasing a vertical of our Estate Cabernets, paired with bites from each hotel’s chef. While not a full dinner, these bites are just enough to complement the wines and show off their food-pairing prowess. We want you to experience for yourself the dream the Barretts had of making these iconic Estate wines. We will also have a special treat, previewing the unreleased 2014 Estate Cabernet Sauvignon, which allows club members to get a taste of the wine a year before the official release. 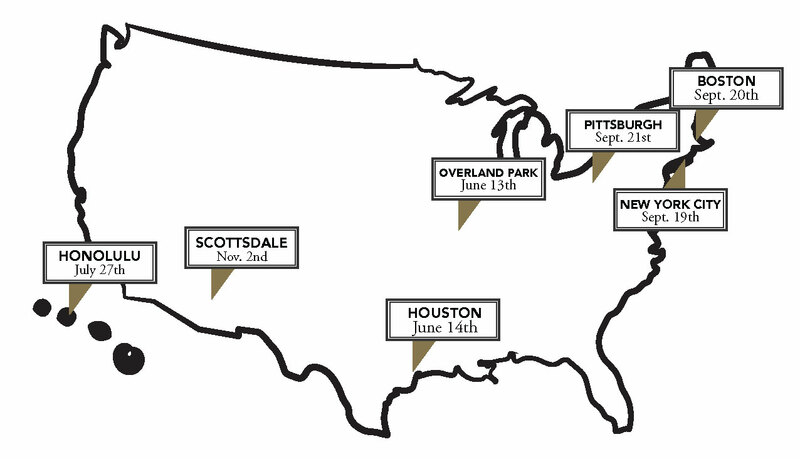 The traveling CellarMaster tour will be hosted in seven cities across the country; Overland Park, Houston, Honolulu, New York City, Boston, Pittsburgh, and Scottsdale. These events will run two hours and are held in convenient downtown hotels. Come help celebrate the artistry of wine at these member-exclusive gatherings. The evening will be a night centered around wine, and the community of people who enjoy drinking it. We hope to see you on the road this year. Contact the club department for more details.